California Ag Today’s associate broadcaster Charmayne Hefley recently asked Soya, a mixed-breed agriculture detector K-9 (canine) with big responsibilities, and Samantha Tomlinson, Soya’s handler with the Fresno County Ag Commissioner’s office, what type of dog Soya is. ST: We don’t know exactly what she is for sure, but we’re thinking about getting her DNA-tested someday. We’re thinking she’s a lab-border-collie. CAT: How long have you and Soya been together? ST: We have been matched up since mid-July when we went through the training program in Georgia through the National Detector Dog Training Center. CAT: What is Soya able to do for the Ag Commissioner’s office? ST: Soya smells out parcels for potential plant material and she alerts us [to suspicious ones] by scratching. We check to see if [the material] has been properly certified and if it’s good to go. CAT: What are some of her recent detections? ST: She can detect a number of things. She was initially trained on five scents: mango, stone fruit, apple, guava, and citrus. From there, through scent association, she’s been able to find a number of additional agricultural materials, including avocados, blueberries, nuts, soil, cut flowers; anything that is plant material, Soya can find. CAT: What region does Soya cover? CAT: How important is it for the agricultural industry to have dogs like Soya working for it? ST: Well Soya and I are considered a “first line of defense” for California’s multi-billion dollar ag industry. She is in the facilities checking boxes sent from potentially quarantined areas from within the state and from outside the state for materials that may contain any pests or diseases that could prove detrimental to California agriculture. CAT: People may not know when they’re shipping certain items—certain plant materials—from one county to the next that the destination county may have a quarantine in place. How do people properly ship plant material? ST: Every county is actually different. If you are thinking of shipping some of your backyard fruits to your nephew or grandson, I would contact your local ag commissioner and make sure there are not any quarantines in place for both the county you’re shipping from and the county you’re shipping to. In these facilities, we look for boxes to be properly labeled with the growing origin and we inspect thye contents inside. Depending on what is inside, where it’s grown and where it’s going, we act accordingly. A NASA satellite being launched into space will measure moisture in the top layer of soil, including soil on California farm fields far below. The Soil Moisture Active Passive project is expected to provide crucial information to Central Valley farmers and water resource managers dealing with the multiyear drought. The mission, which was due to launch Thursday but scrubbed by NASA because of a weather pattern, will begin a three-year mission after liftoff from Vandenberg Air Force Base aboard a Delta II rocket. The soil moisture information gleaned from the mission can be used by farmers to decide when to plant and harvest crops, said Narendra Das, project leader at NASA’s Jet Propulsion Laboratory, which is running the SMAP mission. “This information will be a great tool for agriculture,” said rice farmer Charley Mathews Jr. Mathews owns a 700-acre rice farm in Marysville. 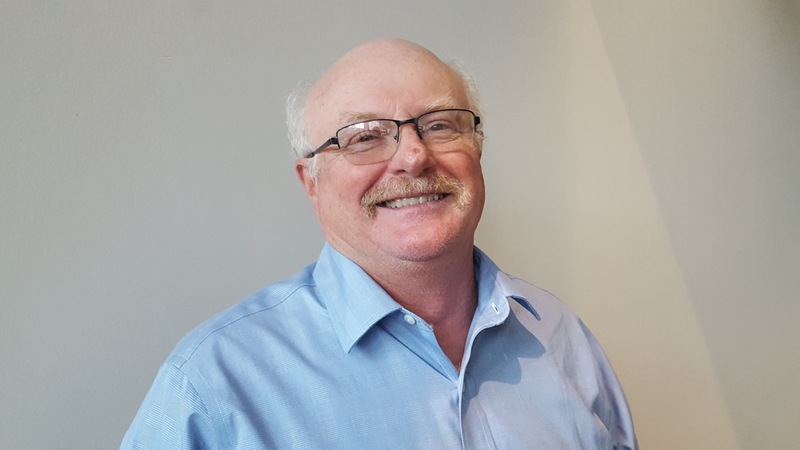 He is an avid believer that more data can help his farming operation. The 128-pound SMAP satellite will map soil moisture globally every two to three days. The SMAP data will be gleaned from space, using radar, with the use of a 19-foot antenna – the largest rotating antenna of its kind ever deployed by NASA. It will take measurements 1 inch deep. The soil moisture it estimates will be matched to other data to provide accurate information on how much water is in the soil. Only a tiny percentage of Earth’s total water is lodged in the top layer of soil. However, the water within that tiny layer plays an important role in moving water, carbon and heat between land and atmosphere. The mission is the latest Earth-looking satellite effort at NASA, an effort that began in 1972 with the launch of the Landsat I. The mission is the final of a recent slate of five Earth satellite missions to be launched by NASA within the past 11 months that began with the launch of the Global Precipitation Measurement Core Observatory satellite. Each mission is culling data at never-before-attempted resolutions. NASA said it has partnered with a large California grower, Paramount Farms, on sampling studies and airborne experiments on the run-up to the launch. Paramount Farms, based in Kern County, is one of the world’s largest growers and processors of almonds and pistachios. Paramount Farms declined to comment on its work with NASA. Predicting floods and suggesting improved water usage may ultimately be another benefit of the SMAP mission, said Robert Hartman, acting director with the National Oceanic and Atmospheric Administration’s California Nevada River Forecast Center. That entity runs climate models for California, Nevada and Southern Oregon. “Once we understand what the data represents and what they mean, it may help us with runoff models,” Hartman said. Hartman said it remains to be seen how accurate the data from SMAP will be – especially from heavily forested environments. In other areas it may help assess how much moisture exists in a given watershed, especially prior to the onset of winter storms. NASA has also been working with the California Department of Water Resources and expects the department will use the SMAP data to run its water use models. The DWP is allowing the use of 40 soil sensor stations throughout the state for the SMAP mission. The sensors will help NASA calibrate the SMAP satellite measurements, said Jeanine Jones, DWP interstate resources manager. Jones said it remains to be seen how useful the data will be to the department’s water management aims. The U.S. Department of Agriculture (USDA) began its celebration of the International Year of Soils to highlight the importance of healthy soils for food security, ecosystem functions and resilient farms and ranches. With an increasing global population, a shrinking agricultural land base, climate change and extreme weather events, the nations of the world are focusing their collective attention to the primary resource essential to food production-the soil. The United Nation’s Food and Agriculture Organization (FAO), working within the framework of the Global Soil Partnership, spearheaded the adoption of a resolution by the UN General Assembly designating 2015 as the International Year of Soils. The year of awareness aims to increase global understanding of the importance of soil for food security and essential ecosystem functions. NRCS is coordinating activities to mark USDA’s involvement in the International Year of Soils. Nearly 80 years ago, NRCS, formerly the Soil Conservation Service, was created to improve the health and sustainability of our nation’s soils. The agency’s original mission continues to this day – providing assistance to producers looking to improve the health of the soil on their land. Conservation that works to improve soil health is one of the best tools NRCS has to help landowners face these impending challenges – and maintain and improve their productivity with the use of soil management systems that includes cover crops, conservation tillage and no-till and crop rotations. These systems reduce sediment loss from farms and ranches, buffer the effects of drought, flood and other severe weather; sequester carbon and create biodiversity in our rural landscape. “International Year of Soils provides an opportunity for us to learn about the critical role soil conservation and improved soil health play in the economic and environmental sustainability of agriculture,” Weller said. For more information, visit NRCS’s soil health webpage or the International Year of Soils webpage. 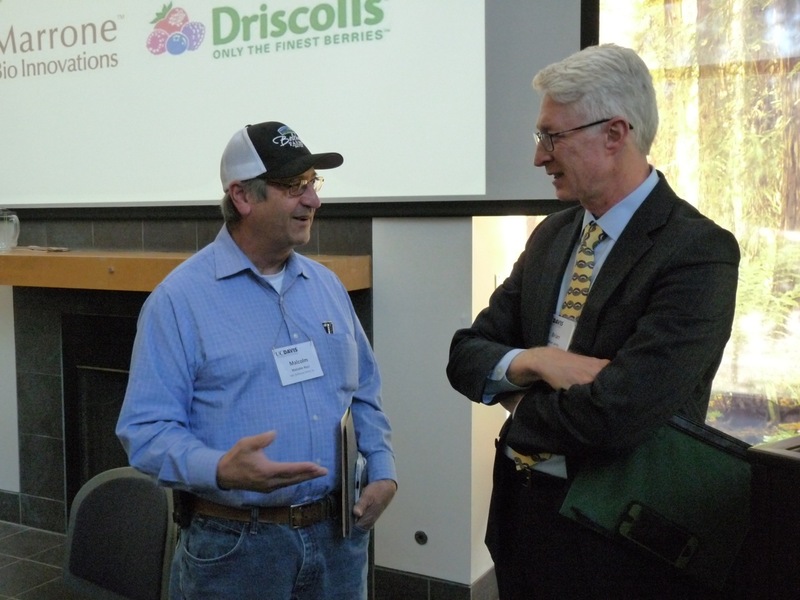 A big soil health symposium was held at UC Davis last week, and there was lot to learn for everyone in the industry. Brian Leahy is Chief of the California Department of Pesticide Regulation in Sacramento, which hosted the one day event. Leahy noted those in attendance were innovative and pioneering. “In the room I think we had some of the most creative farmers, creative researchers, and creative private companies on the planet. These people are some the most amazing farmers that only California produces, and they were here I think as problem solvers. We know we need to understand soil better. What’s going on in the soil? And how do we work with it? said Leahy. “What we heard was a lot of amazing activities that are taking place right now. Lot of great questions asked, its unbelievable the kind of research is going on. I think it was a very productive day.” he added. Brian Leahy (left) speaking with Malcolm Ricci, of Bolthouse Farms of Bakersfield. In those attending the symposium, also learned some things they didn’t know. “And that was the goal, we were trying to figure out, how do we build the support to get long term sustainable funding to better understand soil health. You know understanding soil and what’s going on in soil life, its one of the last frontiers in how were going to make incredible progress in how we feed people, how we take care of the planet, and how we take care of each other. Just layering all the other amazing research going on right in plant genetics. and plants on top of soil its going to be another revolution. I heard Warren Buffett’s son called it the “Brown Revolution”. said Leahy. And think of that really important topsoil, 1 and half feet around the planet, that supports us all. “We heard from the Noble Foundation and the soil renaissance, its a national movement as well, where people are realizing that we have to take care of the soil and work with soil, to really take care of the human race, to feed us, clothed us, all of that. So there is a lot of promise here.” said Leahy.